How to create alert reminders? – Hey. Ask us anything! How to create alert reminders? In order for the deadline mode to work, you need to ensure to have a date or timeline column and a status column. You will be notified within the monday.com platform if a task is reaching its due date and hasn't been completed yet (meaning its status hasn't been turned to "done"). To learn how to use the deadline mode, check out this article. 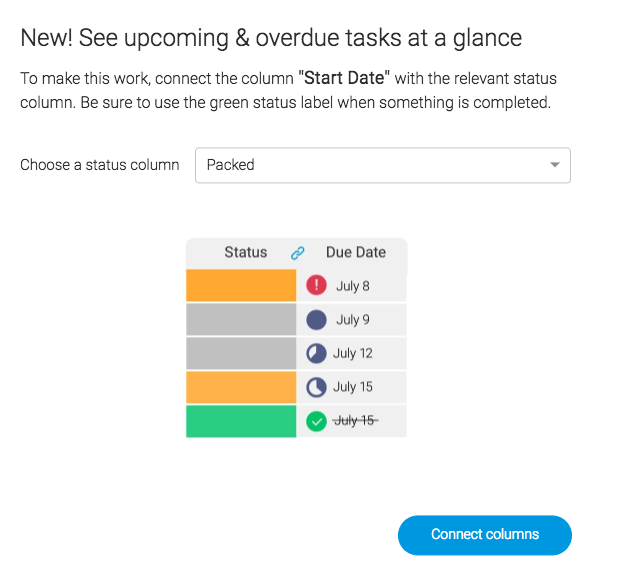 Using monday.com automations, you can now create a due date reminder by scheduling an automation based on a date or timeline column. You can pick who will be notified. The notifications will show within the monday.com platform (on the bell) as well as by email (if your email notifications are on). Check out how this amazing feature works right here. 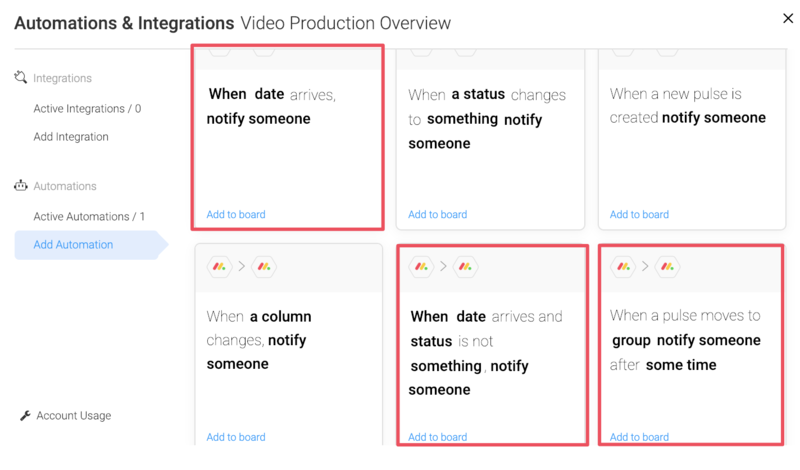 By integrating your timeline or date columns with your personal calendar, you can quickly set up alerts for upcoming pulse deadlines. This feature works with Gmail calendar, Outlook, iCal and more. Read this article to learn how it works.